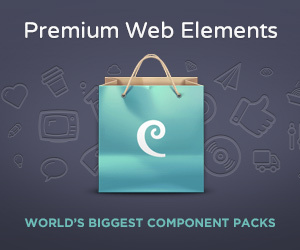 You’re ready to level up and make your own awesome child themes! GeoDirectory Framework (GDF) is where you begin. 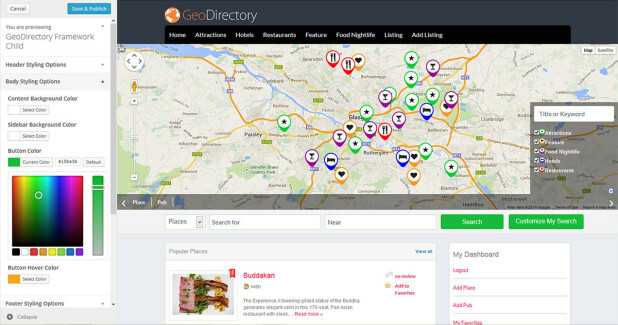 Use GDF alongside the GeoDirectory plugin to create a complete WordPress directory theme. Or use GDF on its own — the choice is yours. 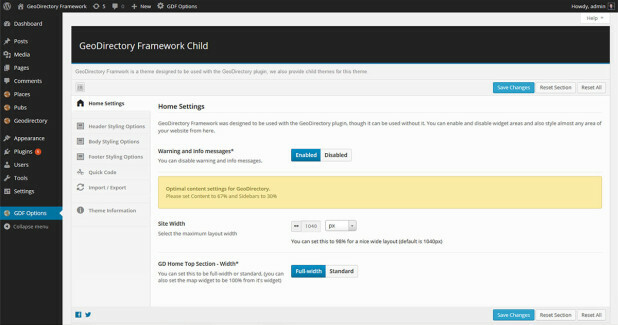 Making child themes couldn’t be easier, using GeoDirectory Framework as a solid base foundation. 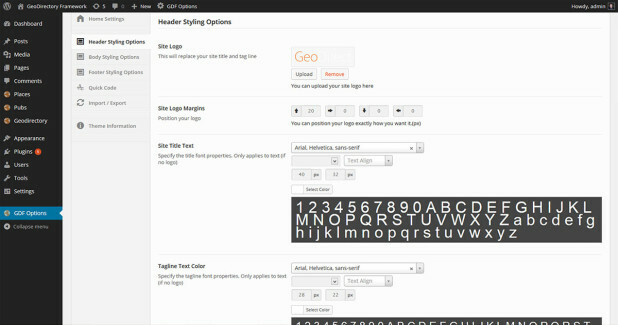 Just enable and disable widget areas, then style almost any area of your website from within the Framework Options Page. To give you an extra helping hand getting started, we’ve made a number of child themes ourselves — we’ll begin releasing them soon. 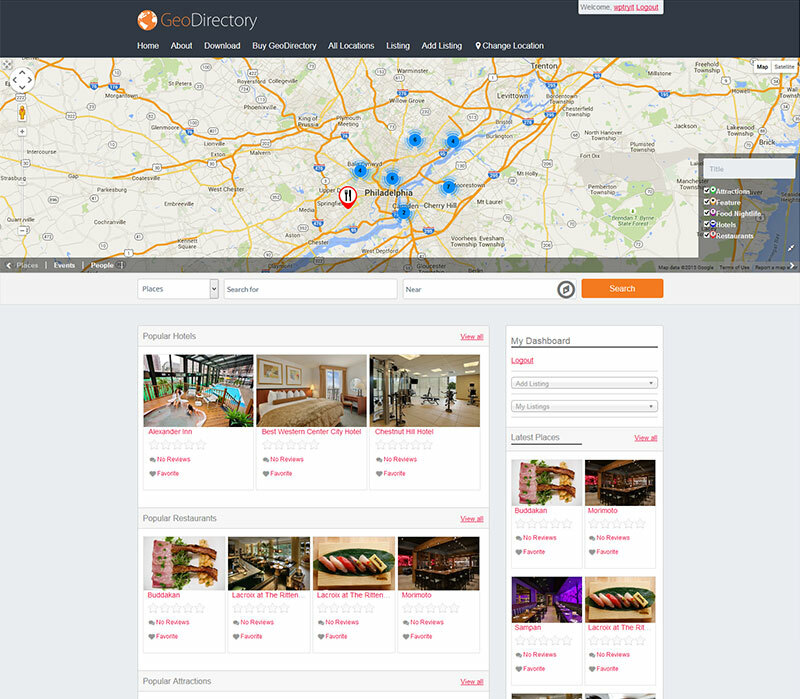 GeoDirectory Framework is 100% responsive. It adapts perfectly to any device or screen resolution. 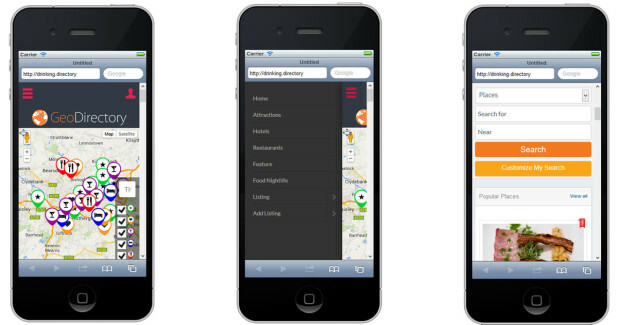 Both site menus automatically change to mobile menu versions on small screens. GDF is 100% Customizer-friendly, for quick theme styling on the fly. 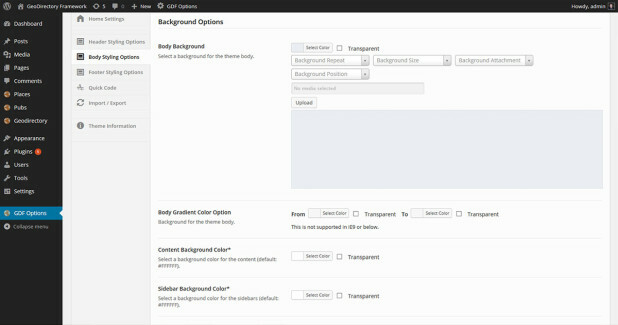 Just navigate to the WordPress Customizer to change options and see a live preview of your changes. The GDF framework was designed to work with the GeoDirectory plugin, so every plugin page looks great on GDF right out of the box. However, you can quickly alter the look and feel of your pages, either via the WordPress Customizer or via the inbuilt options pages—all without editing a single line of code. Want to go further? We don’t recommend editing plugin files directly. If you want to modify the plugin templates, then you should first copy them from wp-content/plugins/GeoDirectory/templates into a fodler named geodirectory inside your child theme and edit the code there. You can add CSS to the child theme style.css file. Set the website layout width in this page of the GDF Options interface. Choose a fluid or fixed-width site. The home page top section, which normally contains the map, can be edited separately if needed. GeoDirectory Framework Header Options Page. You can also set options here for the Admin Bar and for Mobile. GeoDirectory Framework Body Options Page. GeoDirectory Framework Footer Options Page.